March Madness is Here. Are You Ready for the Crowds? – TAM Card® Nation in Vegas! March Madness is Here. Are You Ready for the Crowds? March Madness officially kicks off this Thursday and is one of the biggest draws of the year in Las Vegas. Why not make the most of being on center stage to show visitors and locals alike all that Vegas has to offer? Taxi drivers, restaurants, and shops will all be working hard to accommodate the influx of visitors and hotel room prices have skyrocketed for this weekend. Establishments all over town are preparing to face huge crowds of patrons looking for viewing parties, food, drink, quality service, and a good time. Special events such as March madness are a great opportunity to try special menu items, viewing parties or themed promotions. Why not offer a specially-priced cocktail menu to entice your guests? Your bartenders could create signature team-themed cocktails or sports-themed menu items to get your guests in the celebratory mood and trying something new. Looking for even more inspiration from other local events happening around town? Check out Vegas Chatter’s guide to March Madness celebrations. Make suggestions to your guests for visiting popular spots in Las Vegas. As a local, you can capitalize on your knowledge of what is going on in and around town and pass on suggestions to your guests on how to fill their time in between games. Guests will appreciate the insider scoop and ability to make recommendations on after-parties, places where locals like the hang out, and off the beaten path sites to visit. You may also want to suggest use of the Las Vegas monorail, trolleys, free trams, and free shuttles. With the huge crowds expected, having a variety of options to get around will be helpful. Always practice safe alcohol sales and service. The lessons you learn in your TAM® course will help you to serve responsibly. A well-educated server is familiar with alcohol’s effects on the body and can recognize the dangerous signs of over-intoxication. Watch how much you are serving and how often. You can help to cut down on the number of over-intoxicated individuals who ruin the atmosphere for others, or potentially harm themselves. Also, call a cab for any inebriated drivers on your premises. Keeping them off the road helps keep us all safe. 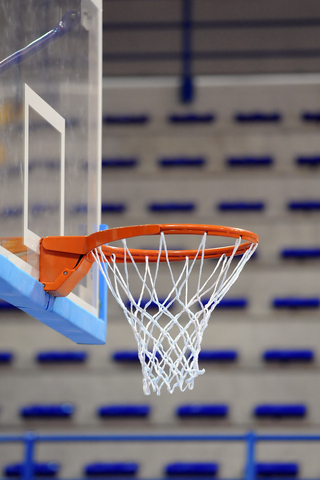 How are you planning to make the most of the March Madness crowds, and what team are YOU rooting for? Next Alcoholic Beverage Service at Special Events – Are You Following the Law?